With Allen Iverson now officially voted into the Hall of Fame, I thought it only right to check out the IVERSON documentary when I stumbled upon it in Netflix. The cornrowed and tatted guard, who single-handedly dragged an undermanned 76ers team to the Finals in 2001, is one of the greatest players listed at 6 feet or under, and perhaps one of the most popular athletes we've ever seen. Sure, he was a controversial character and an easy target for criticism for his ball-hogging ways, but Iverson was, above all, a warrior who deeply loved the game of basketball. Through 2007-2008, he was one of the NBA's premier scorers, but bad fits (Detroit, Memphis), his daughter's health and calf surgery made for an unflashy last hurrah over his last few years. On October 30, 2013, Iverson would announce his retirement from basketball. IVERSON follows A.I. 's bumpy path to stardom, starting in Hampton, Virginia. He could have easily fallen through the cracks of the system when he was serving time as an adult following a brawl in a bowling alley. Ultimately granted clemency, he completed his high school education at a school for at-risk students. With Iverson damaged goods at this point, his mother convinced John Thompson of Georgetown University to give him a second chance. Iverson's dream of being in the NBA was still possible. Selected with the first pick in the 1996 NBA Draft by the Philadelphia 76ers, he immediately became the star many felt he was destined to be. His famous crossover against Michael Jordan marked the start of a career that saw Iverson become a cultural icon in a way that few have. Documentary maker Zatella Beatty masterfully tells the story of one of the more complex individual in the sport of basketball or any sport, really. 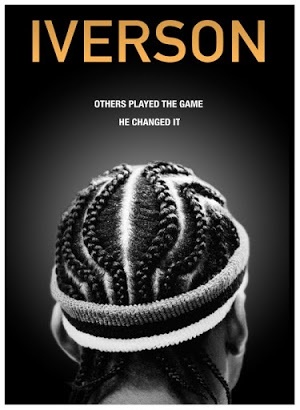 Displaying many twists and turns, much like Iverson's career itself, the doc tells a tale of hope and inspiration. IVERSON mostly covers the Philly years, merely glossing over A.I. 's stops in Denver, Detroit and Turkey, but hey, aren't those the years we'll always remember?